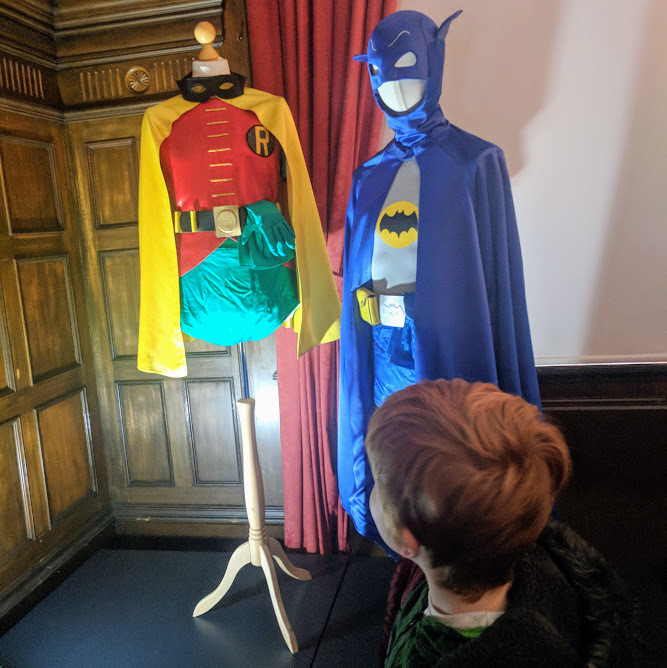 Behind the Seams at Preston Park is an exciting new exhibition showcasing some of the best costumes from TV and movies. The exhibition runs until 3 March 2019 and is available during normal museum hours. Admission to the exhibition costs £5 per adult, £3 for concessions and under 16s are free. 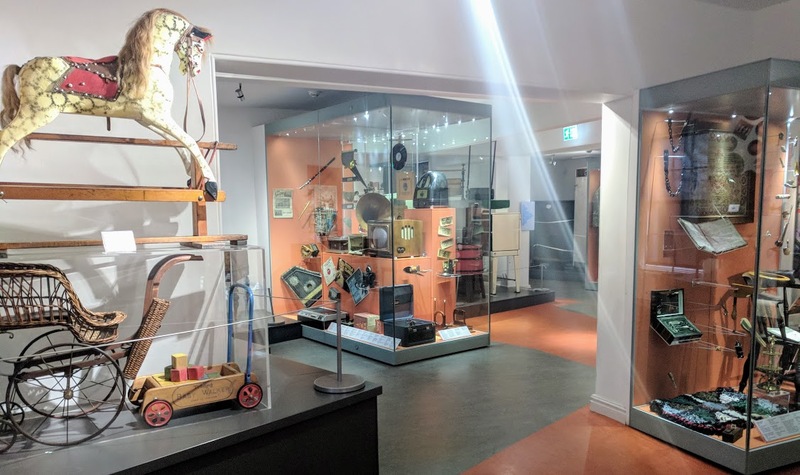 You'll also need to buy an annual pass to the main Preston Park Museum which is a steal at £5 per family, per year (up to 2 adults and 4 children) and gives you the perfect reason to re-visit. 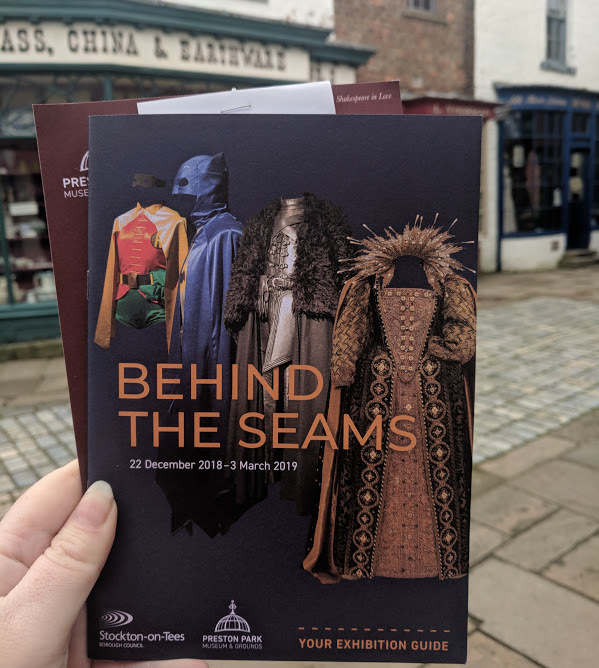 There is lots of information, trivia and facts on display around the costumes and you can purchase a special booklet to accompany the exhibition which features even more info for just £1.50. There are guides inside the exhibition who were just lovely and super engaging with the kids. 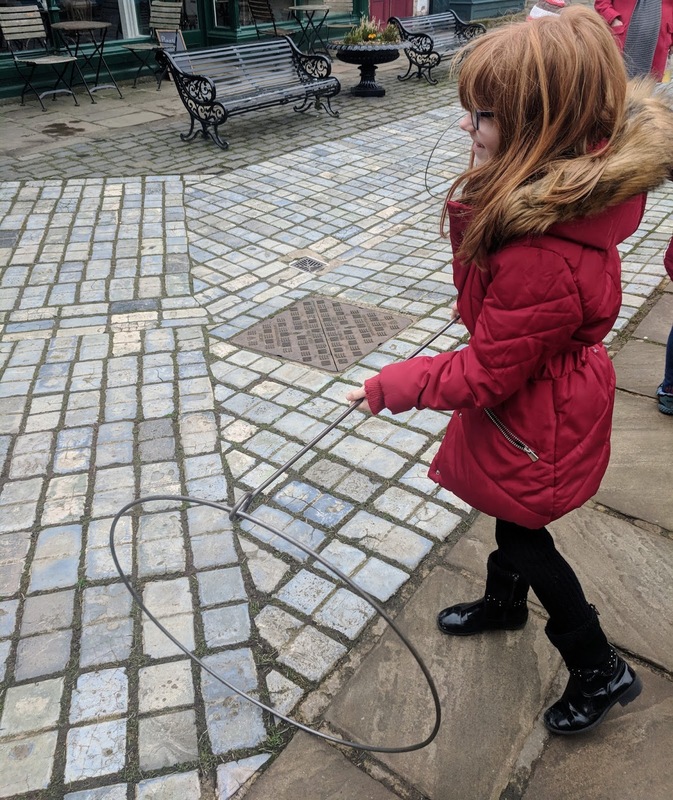 They took the time to explain some special behind the scenes facts, gave them jobs to do (to make sure the grown ups didn't touch the costumes), asked their opinions, pointed things out we'd missed and showed us a fab silent movie. I'm not sure if these ladies were staff or volunteers but they were fab and really brought the best out of the exhibition and couldn't have made us feel more welcome. The exhibition can be explored at your own pace and there are plenty of photo ops too. Find out more about the exhibition here. 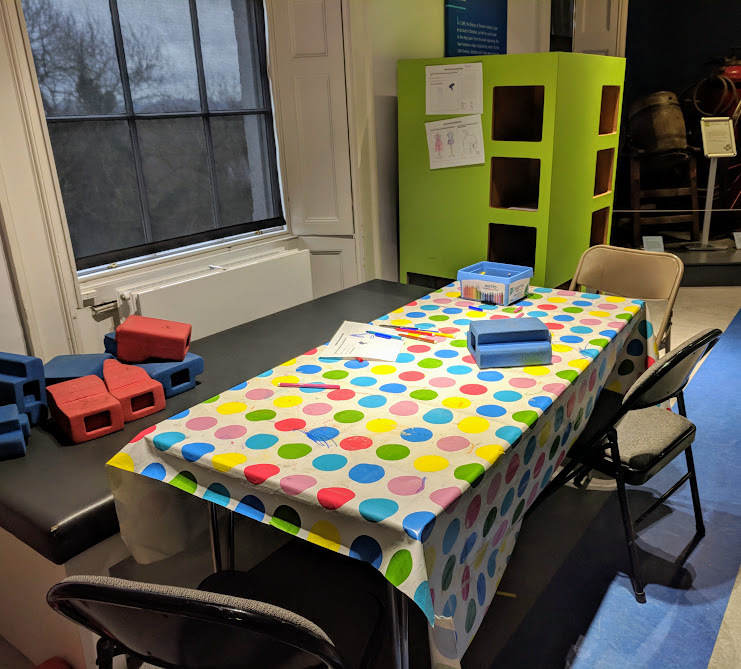 There's a cute main museum/gallery space indoors (upstairs and downstairs) with lots of varied exhibitions - this is included in your annual pass. The weather in North East England isn't always the best at this time of year and this exhibition is completely indoors so perfect for a rainy, windy or chilly day when you still want to get out of the house. 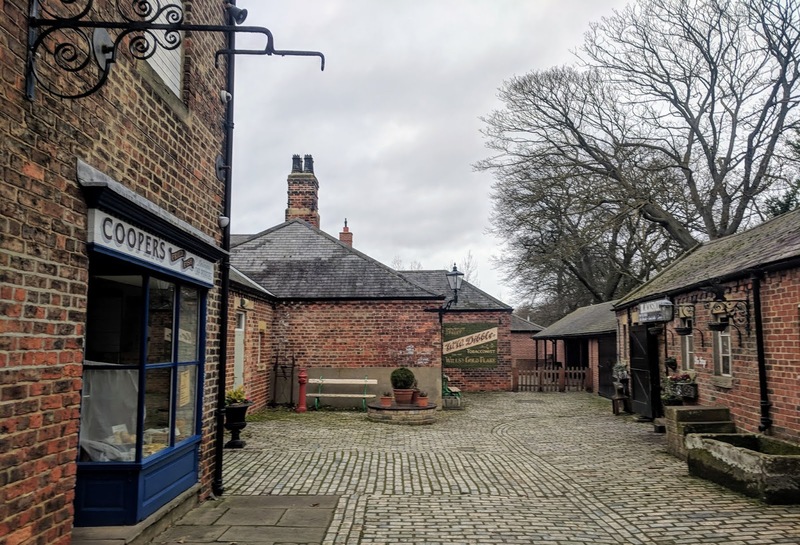 The main Preston Park museum is also indoors and there's a tearoom and little shops where you can take cover along the Victorian Street. 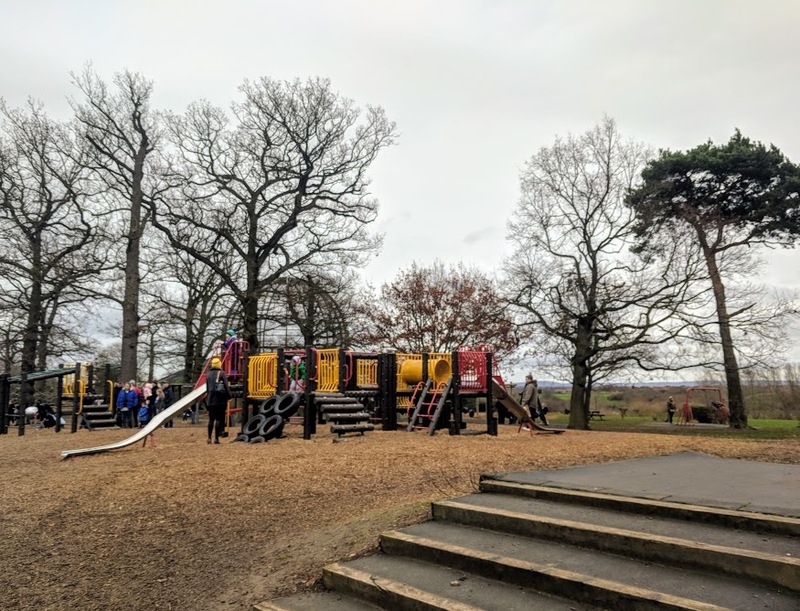 If the sun does decide to shine, there's a walled garden, huge adventure playground, skate park and beautiful riverside walks to enjoy. 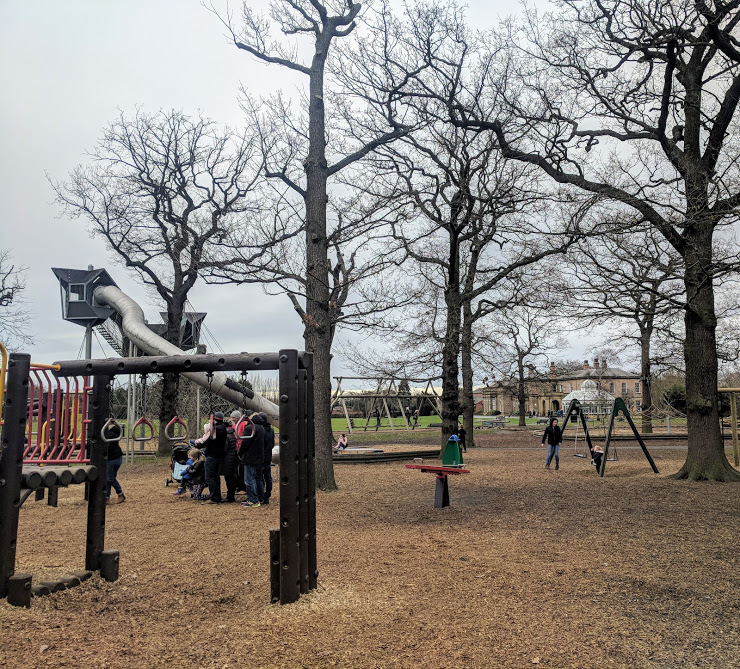 Preston Park feels like it has been perfectly designed to match the changeable British weather. My family are the biggest Doctor Who geeks. 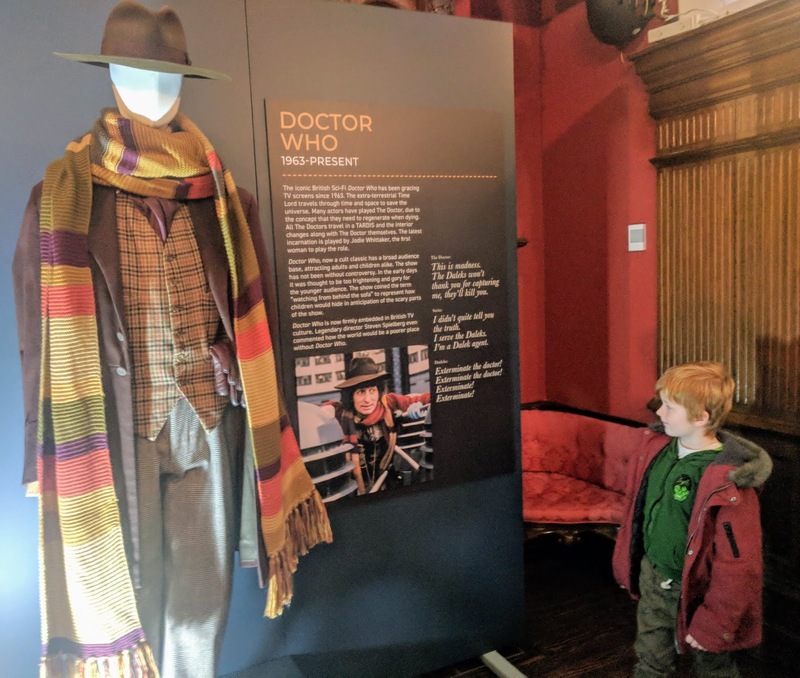 We have lots of memorabilia, have visited countless Doctor Who exhibitions, watched the symphony orchestra's Doctor Who performance, travelled to Cardiff to take various Doctor Who tours twice, read so many Doctor Who books and Harry listens to the Doctor Who audiobooks. 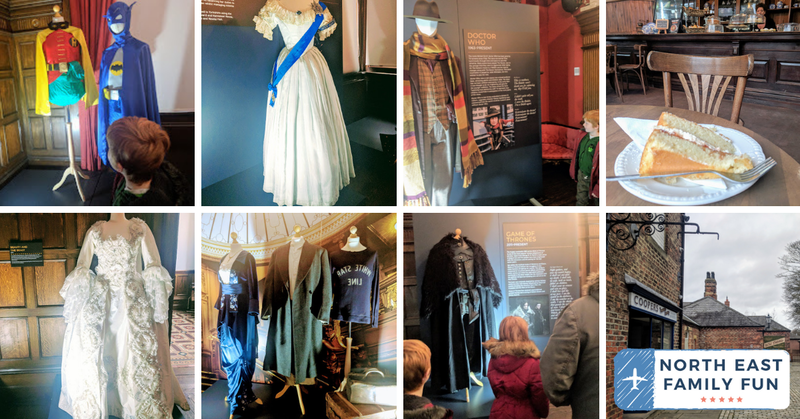 During Doctor Who season, our life has to be planned around new episodes so any chance to see a costume from the show is exciting to us and Behind the Seams allowed us to indulge. 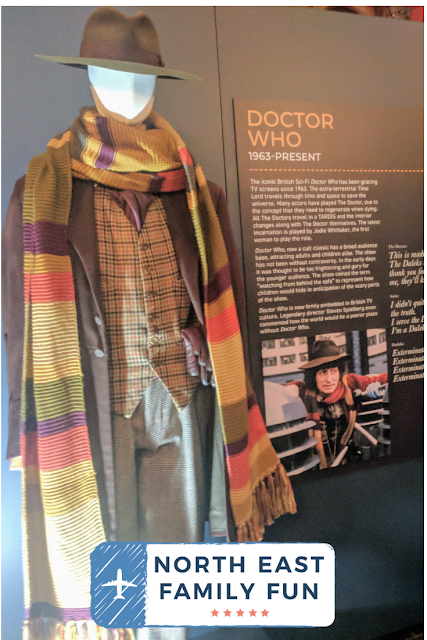 Original costume which featured in the opening scene of the 2017 film. Disney will play an important part in most children's lives and as a family, we love nothing more than snuggling up and watching a Disney movie together. We all went to see Disney's Beauty and the Beast at the cinema in Easter 2017 and absolutely loved it (I enjoyed it more than the original) and of course, we can't wait to see Dumbo which will be released in the UK at the end of March. It is such a treat to be able to see costumes from both of these movies up close. 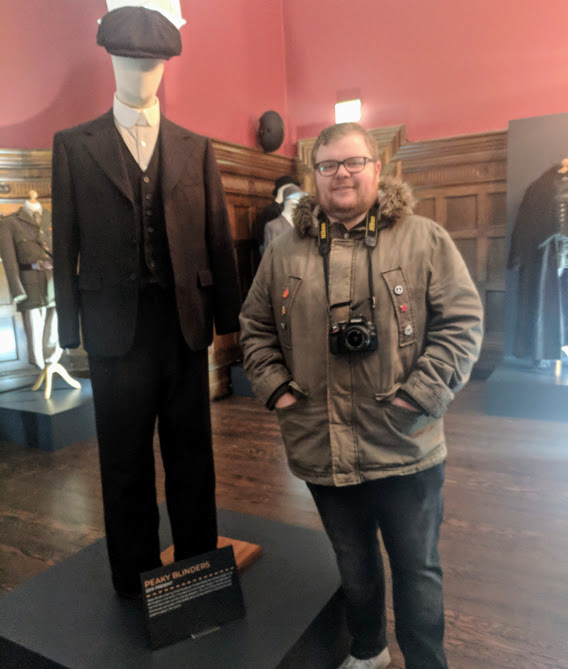 Older teens will definitely appreciate the chance to see and original Peaky Blinder's costume up close. The 1920s outfit is definitely #stylegoals. Steve and the kids are big fans of the Indiana Jones movies and the franchise is one of those classics that really stands the test of time. 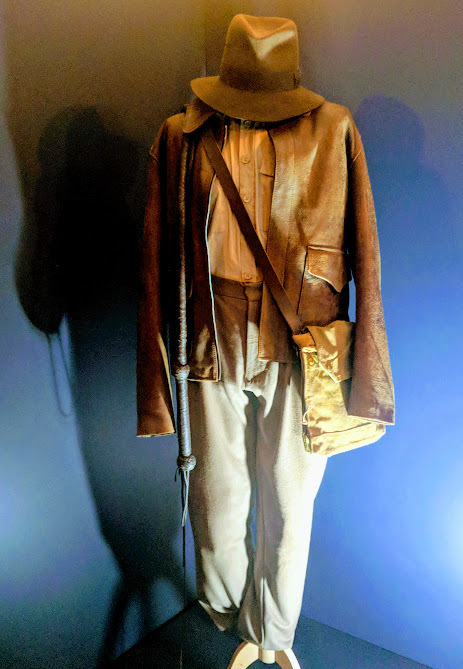 Seeing the costume up close has prompted us to start an Indiana Jones movie marathon this month and we're looking forward to re-watching now that we know a little more info about the costumes worn in the films. Titanic is an important movie to me as it was released in 1997 - the year I started High School. I can't believe I was more or less the same age as Harry when it was released. I saw this movie 4 times with my friends at the old Odeon in Newcastle and it was during this film that I remember one of my first proper dates with a boy called Lee from Heaton. Anyway, I have lots of special memories from watching this movie as a teen and I've now passed these memories onto my own children. Last summer Heidi and I spent a lovely afternoon re-watching Titanic and we both loved it. I'm so pleased that we have these shared memories and being able to see costumes from a movie which is so special for us is a real treat. 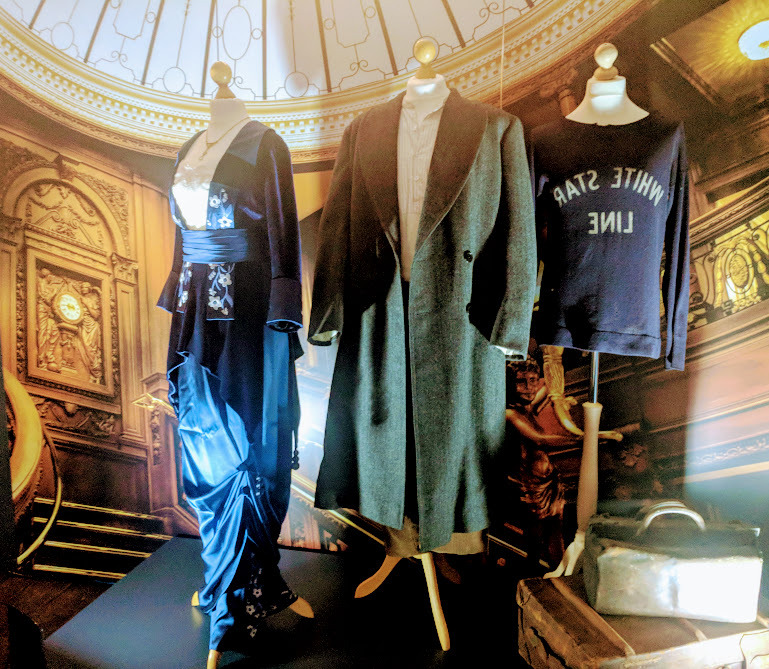 This was Heidi's favourite costume from the whole exhibition as she has declared she doesn't like fancy dresses and these outfits reminded her of one of her favourite movies. Bless. Original costume - Kit Harrington wore his Knight's Watch cloak for 5 years without it being washed to achieve its rugged appearance. 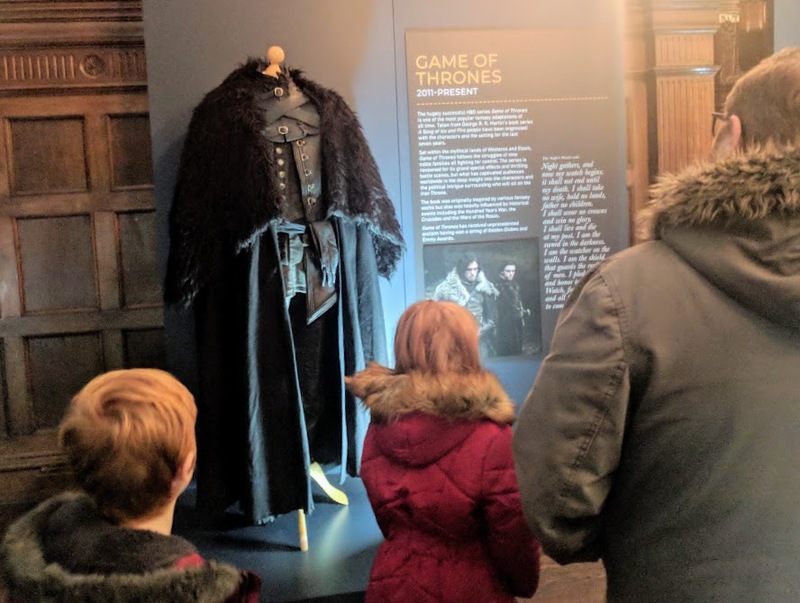 With the new series of Game of Thrones returning to our screens this summer, being able to see an original costume up close from such a cult TV show is a biggie. Harry, Heidi and Jack don't watch GoT but they are well aware of its existence and still enjoyed seeing this costume. Older teens who watch the show cannot fail to be impressed by this. 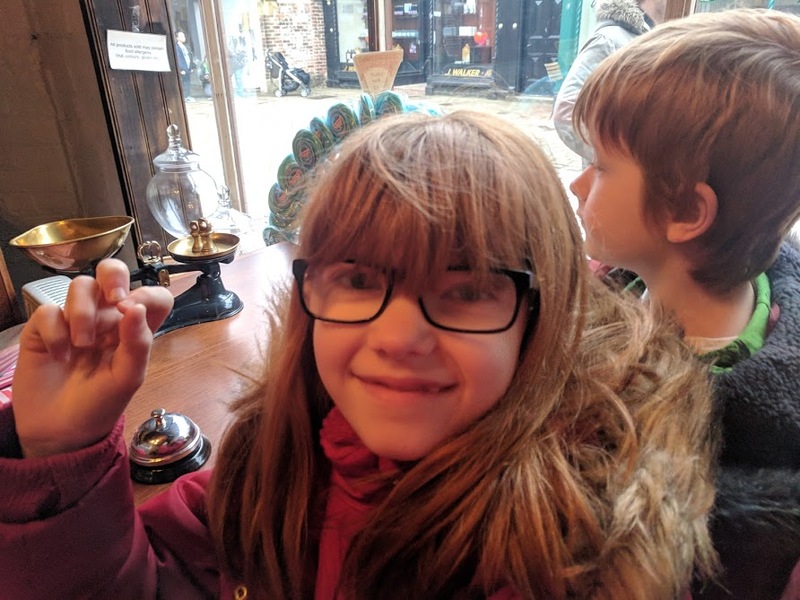 Our day out cost £15 in total which included admission to the Behind the Seams exhibition and the main Preston Park Museum for the 5 of us - that includes an annual pass for us to re-visit Preston Park Museum and Victorian Street as much as we like over the next twelve months. Such a bargain! I know we'll be back for a picnic and a wander along the Victorian Street in the summer. Victorian Street in the main museum with real shops you can pop into. 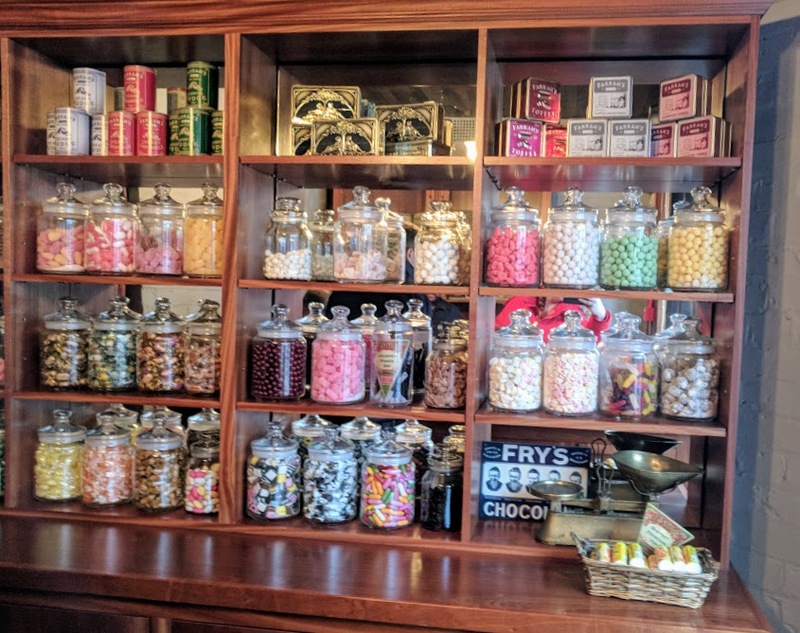 You can purchase sweets from the old fashioned sweet shop for just 50p per bag. I love how this all seamlessly links in. 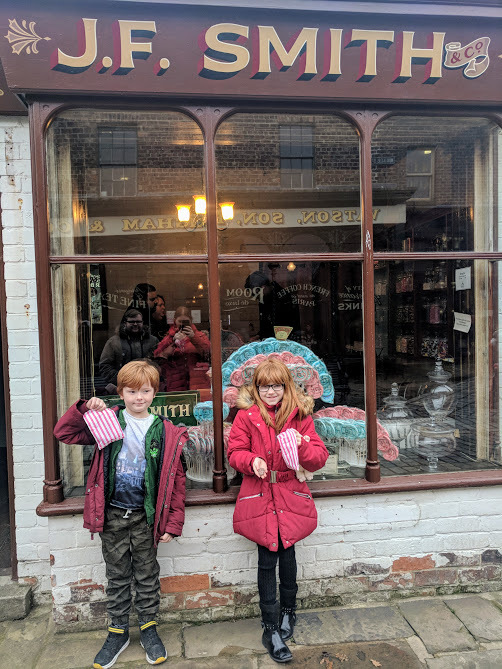 My kids don't watch Victoria (I'm a big fan) but I like how they can see a Victorian costume like Jenna Coleman's up close and then learn more by walking through a Victorian Street, playing with Victorian toys and even buying sweets from the Victorian Sweet Shop. All learning through experience which is so much better than learning from a textbook (in my opinion anyway). The Victorian Tea Room is lovely and pretty cheap - £8 for 4 drinks, a slice of cake and a scone. 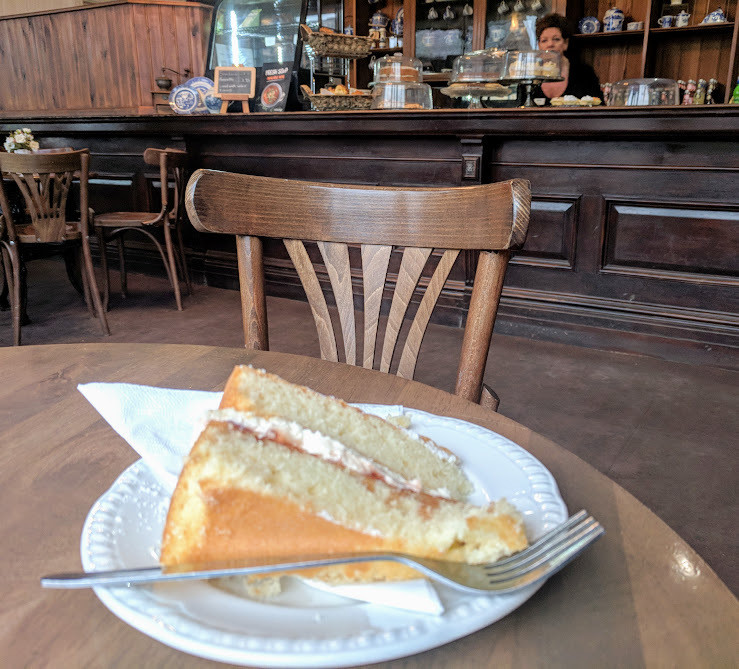 There's a cute Victorian Tea Room on the Victorian Street serving the most delicious homemade cakes, snacks and drinks. The prices were super reasonable and it was lovely and warm too. Make sure you take cash as they did not accept card payments on the day of our visit. 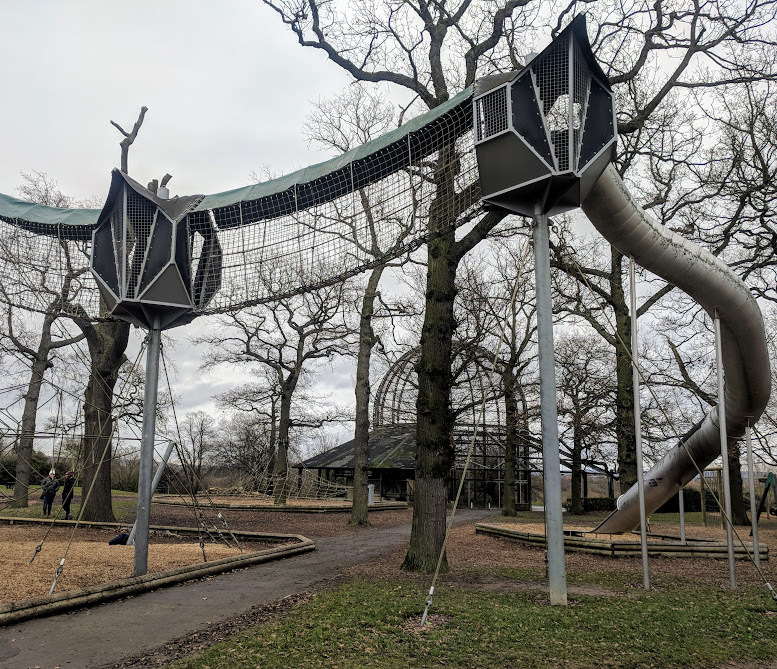 You can see more from our day at Preston Park Museum and Gardens by watching my Instagram Stories from the day here and check out the links below for more information, more photos and an alternative perspective. 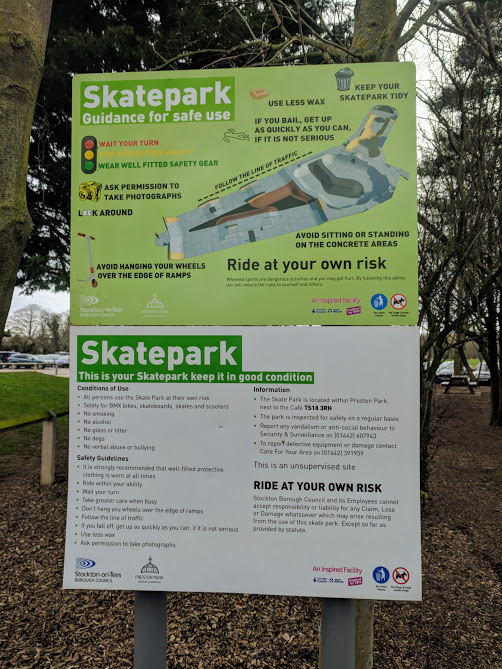 Disclosure: Preston Park commissioned this post but have had no editorial control. 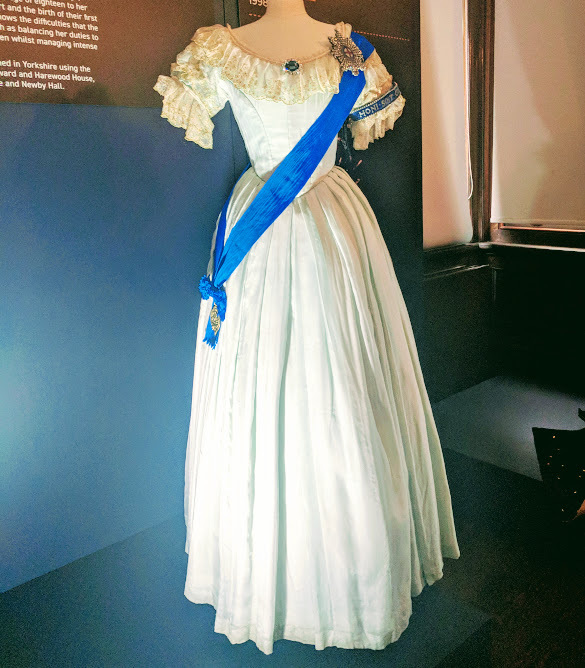 Let me know if you fancy visiting or which famous TV or film costume you'd like to see (even if it's not part of this exhibition). Gutted I've not tried the cake here, we made the mistake on our visit of not having any cash with us! A very important lesson there, always carry cash for cake! Lee from Heaton ha ha! Looks like a great exhibition-we need to plan a day out to preston park soon. I remember vividly going when I was a little kid! It is a lovely place. 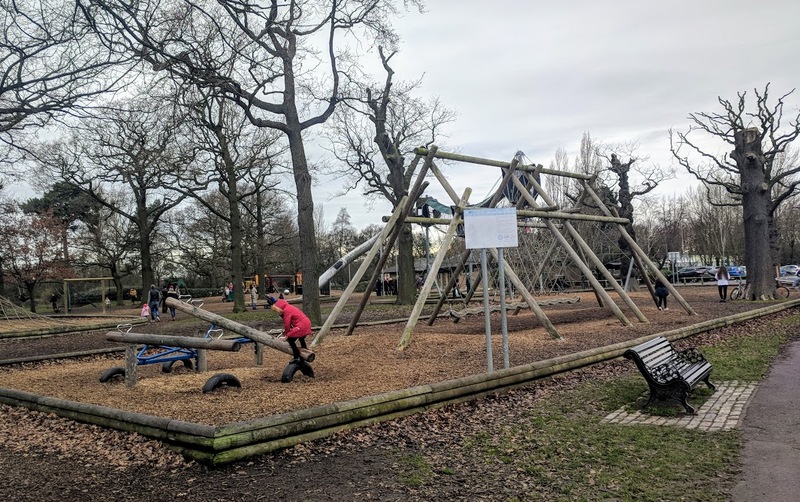 My boys fell in love with the play area and have asked to go back ever since we visited! 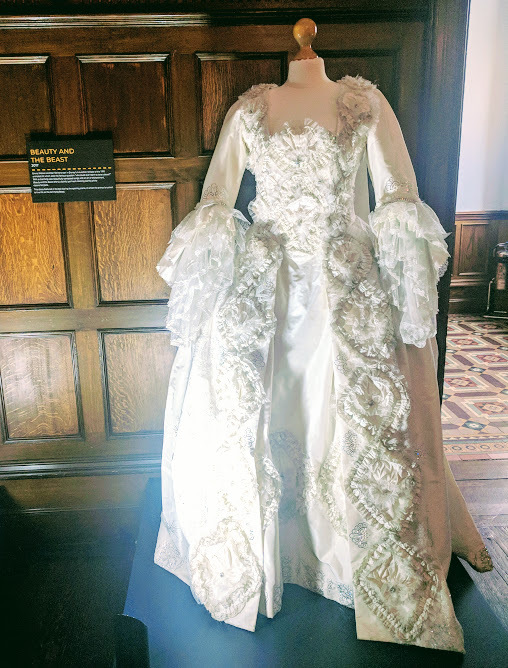 Thank you for including a link to my review of the behind the seams exhibit! We are going this Saturday, is it free parking? I'm so pleased you lot enjoyed it too. You know I love Preston Park. Such an asset to the region. Thank you for linking to my post. I'll put your link in mine when I get a mo.